Last year the Kungsleden was our late entry into the world of trekking – the tour was great and hardly back home we thought about what we could do next year. You can find last year’s almost three-week tour here. The choice for this year’s main holiday was Iceland – read here – but the desire to return to Sweden was strong and so we planned a little autumn tour in the mountains. Start and finish point of the tour were quickly clear due to the good accessibility with start Nikkaluokta and finish in Abisko, also we wanted to leave the tent at home this time and decided to hike from cabin to cabin. However, we didn’t just want to take the route north, which we already knew in the opposite direction to Singi from last year. Instead, we laid the tour through enchanting and at this time of year quite lonely side valleys: Stuor Reaiddávággi, Visttasvággi, Čoalmmevággi, Abiskodalen between Unna Allakas and Abiskojaure and Kårsavagge. Of course we couldn’t go without “main valleys”, so we went long distances in Láddjuvággi and short distances in Tjäktjavagge and Alesvagge. 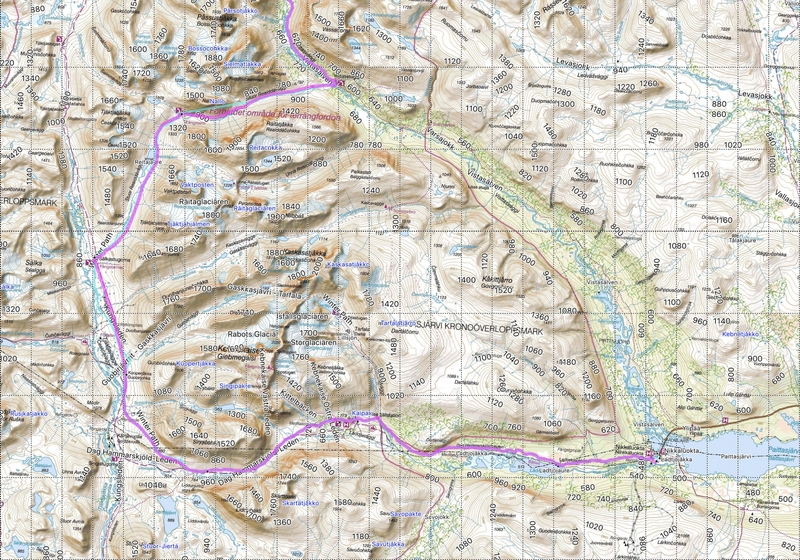 We went from Nikkaluokta via the Kebnekaise mountain station directly to Sälka and left the Kungsleden to go via Nallostugan and Vistasstugan to Alesjaure. The reward was a breathtaking mountain scenery in Nallo and – especially for us who had never seen Northern Lights before – a super Northern Lights night in Nallo! It was followed by a mystical Vistasvággi with wind, rain, clouds and fog. In Alesjaure we spent only one night and then went over the pass to Unna Allakas, where we spent three comfortable days in the dreamlike situated hut. From there we walked through the long valley to the crowded Abiskojaure and from there over the next pass to Kårsavagge and then followed the valley to Abisko. 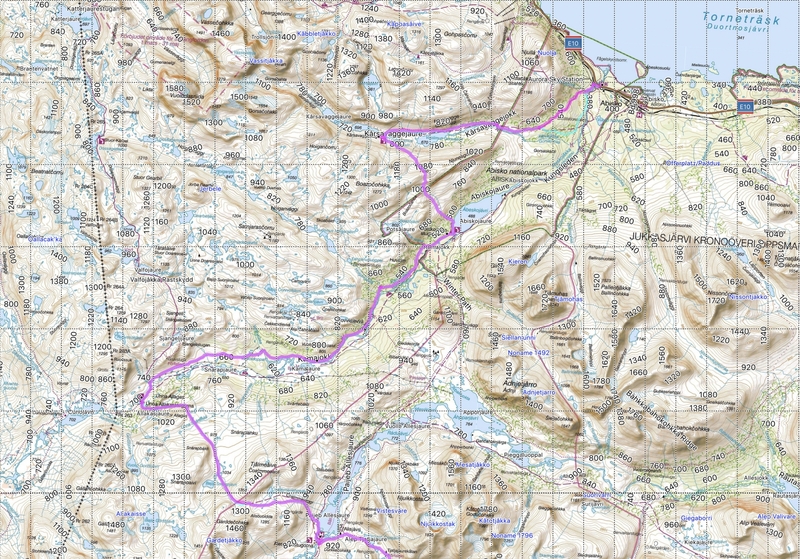 The length of this tour was a moderate 140 km. 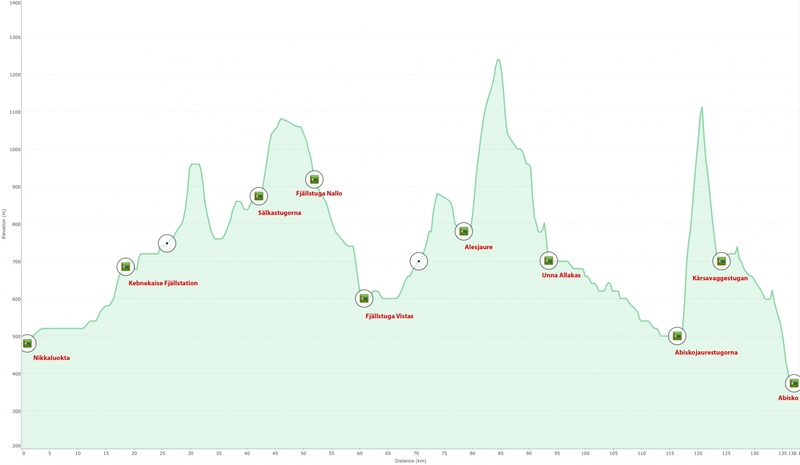 On the following elevation profile you can see that jumping between the valleys is sometimes connected with proper climbs. The size and the service offer of the huts differ, not all have a shop, the size of the shop varies and not everywhere there is a sauna. 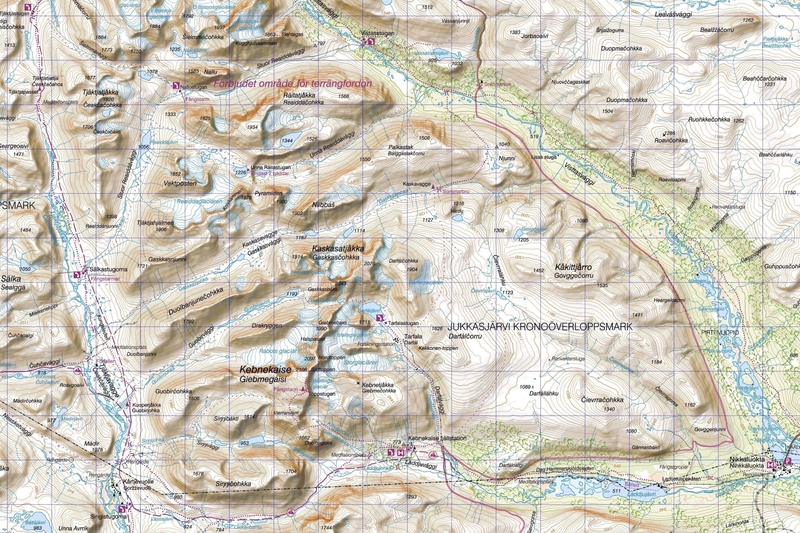 On the webpage of the STF you can find a List of Fjällstugas. 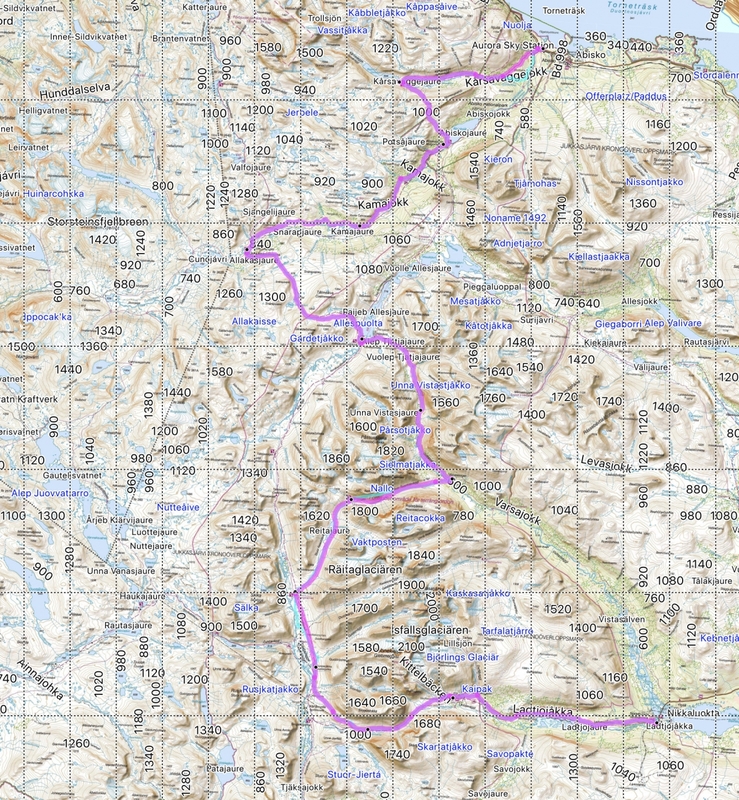 Our planned tour is covered by the map BD6 Abisko-Kebnekaise-Narvik. 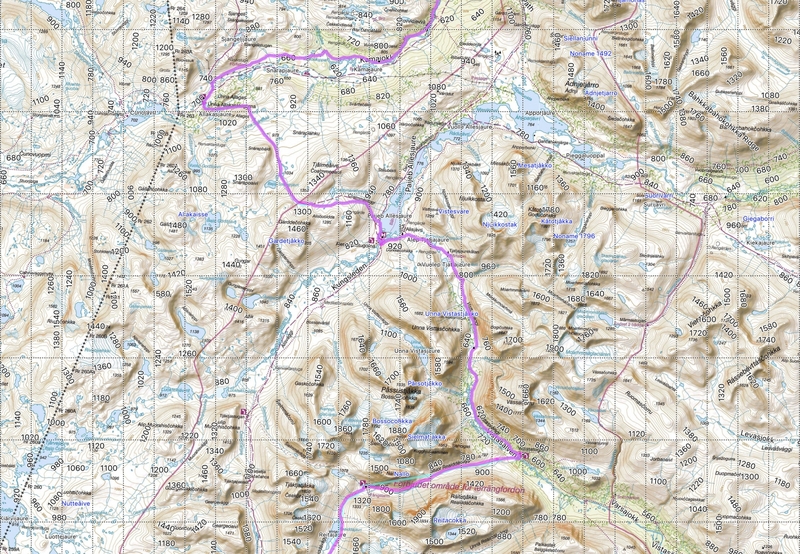 Finally, the overall view of the route – larger and divided into three sections.